So sorry about your health, at my age had lots of health problems, myself, the man Up Stares had pulled me through many close call over the years!! I will be keeping you in my Prayers! Hang in there, my hounds speak for themselves, I just look after them. I had some cancer surgery 8 weeks ago and had a follow-up with my doctor today and things are looking good so I am ever thankful to the Lord for looking out for me and for all the prayers that were offered on my behalf. The hounds have been a blessing in my life and I pray they will continue to be in yours. EXACTLY and what I have been trying to say but Daddy Rabbit said it short and sweet. I never made or taught a hound in my life and they always actually taught me a thing or two as I wasn't put on this earth with the ability to do what they do. I merely allowed them to do it and hone what they were put here to do. I find it interesting that ALL things have a purpose on this ole earth and they get er done NOT because of me but in spite of me, although I may try to help I suspect I do more harm than good at times. I have done that with my health over the years and can sure relate to hind sight being 20/20 now that I've aged. Without ones health not much else matters. I hope and pray for all to be as healthy as can be. My dad died at 58 years old with a heart attack after having a quadruple bypass that plugged back up again a year or so after and I've already had the ole ticker worked on as well. Last edited by warddog on Thu Sep 06, 2018 5:40 pm, edited 1 time in total. I did not read all the post but sadly the first one I read was somebody saying they did not have a high tech phone or camera to edit videos to make their dogs look perfect. There is nothing wrong with being old fashion and not having a interest in videoing the dogs but at the same time I have been doing videos since my daughter was 2 years old and she will be 38 this month. I will turn 68 on my next birthday so I am not so young myself. I have never tried to edit my videos to make my dogs look like the perfect dog. As a matter of face a lot of guys on this board have called my dogs mouthy, slow and very faulty. I have zero problems with that because I understand this board promotes a stronger dog and when you post a video they are out there for the public. I post them hoping they are for entertainment. I have no hard feeling for the comment that was made. I just want people to know that most guys who post videos do it because it is just another part of the sport they enjoy. I don't see dogs and I see very few videos where guys are trying to sell dogs from a video. I can't imagine a hunter would buy a dog from a video without seeing it run. Anyway I hope I don't offend anybody because I do enjoy posting the videos for entertainment only. 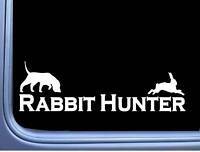 As far as rabbit hunting I think it is very alive and well. The reason the forums are almost dead is because of Facebook and Twitter. 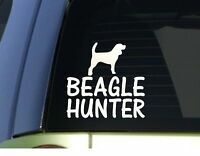 There are tons of beagle sites on Facebook. You can start your own beagle page and not have to pay plus get tons of people interested. I went to the AKC Gun Dog Brace Nationals this past weekend and they had over 300 dogs. I heard that AHRA had a championship trial nearby and they had over 200 dogs. Also UKC had their big trial in WV last Weekend and I know they had a big turn out. All the guys at the Gun Dog Brace Nationals were all making plans on their annual hare hunt and several were making plans on their hunting season coming in the weekend. I will be going to Pa getting my license because WV does not come in until the first weekend of Nov. A lot of hunters have the idea that trial dogs and hunting dogs are not the same but I have not found that to be true. 95% of the guys I trial with take the same dogs and hunt all winter. Thanks for your time.